I know that we have not released anything for many months now. At the moment, our head admin is quite busy with real life, and so cannot release anything for the group. The rest of the staff are trying their best to continue everything, and hope to soon return to an active state. Please be patient with us while we try to learn how to release. Due to our personal lives, we will be unable to release large batches for some time. However, we promise that we will slowly release one chapter after another for a week or so. Take care and hope to hear from you all! I'm still trying my best <3. This is just too cute to stop now!! The Cute "I Have A Boyfriend" series is here <3. Thank you again to Only YunJae for the raws ^^Give them a visit if you are a fan of YunJae or speak Spanish. Here is another chapter! As i said, I will try to upload 1 chapter a day at least~! Hibari here. I am writing this message to tell you our releases for our Anniversary will be a little late. Maybe around one more week. Our staff worked very hard on everything but we still couldn't make it on time (mostly my fault since I have been busy and couldn't finish my part). The last week of the Semester starts next week for me and this week was packed with things due and exams. Next week will still be about the same so.... But do not worry, there will still be our release for the anniversary. 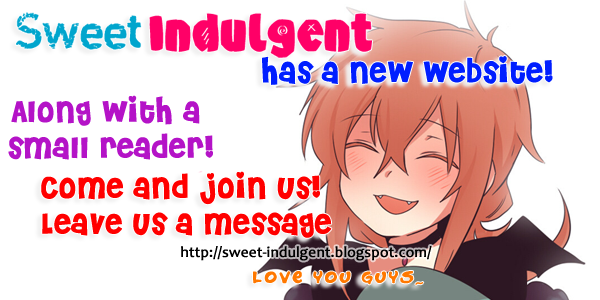 It its Sweet Indulgent's Birthday so of course we have to celebrate it!! But well, for now, I shall leave you. Until next release! It will Make you some what happy....no?